One of the responsibilities of the Food and Drug Administration is to assure that foods are labeled properly. It provides regulations on what, where, and how prominently information should be placed on packaging. 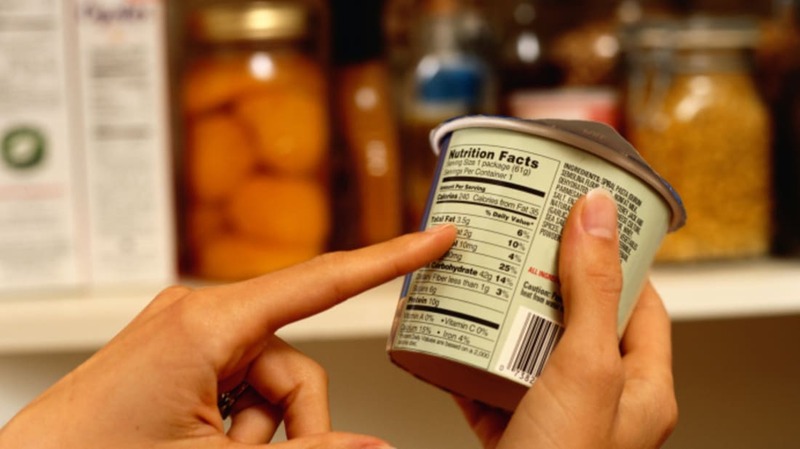 The idea is that consumers should not be misled by what they read on the groceries they buy. However, the labels should also be written in plain, understandable language. This means that sometimes regular English words—words that have commonsense but slightly fuzzy meanings—must be defined more precisely for food labeling. Here are 11 words that mean something more specific on the supermarket shelves. A food that looks like another food but isn’t made of the same stuff is an imitation, right? Not quite. It only has to be labeled as “imitation” if it has a lower amount of protein or some other essential nutrient than the food it’s trying to look like. Low is also defined with respect to set portion sizes and varies with whether it refers to calories, fat, or sodium. For fat it’s less than 3 grams. For calories, it’s less than 40, unless it’s a prepared meal, in which case it’s 120 per 100 grams. Saturated fat and cholesterol have specific “low” values as well. Sometimes manufacturers want to make a relational claim about a food—not just that it’s “low” in some substance, but lower than it usually is (which may mean it doesn’t meet the standard for “low” at all). Relational claims are evaluated with respect to a reference food. A reference food should be the same type of food (chocolate ice cream compared to other chocolate ice cream) though the numbers against which the “reduced” claims are compared can be an average of the top three brands. The “reduced” substance must be less than 25 percent of what it is in the reference food. Light (or lite) is also evaluated with respect to a reference food, and a rather complicated set of conditions is taken into account for different substances. For example, if a “light” product has more than half of its calories from fat, the fat must be reduced by half per reference serving amount. If less than half its calories come from fat, it can be “light” if the calories per serving are reduced by 1/3. Sometimes foods that meet “low” requirements can also be labeled as “light.” “Lightly salted” should have 50 percent less sodium than a reference food. Our food labels don’t only brag about low levels of the bad stuff, but also about high levels of the good stuff. “High” (or “rich in”) means that the food has 20 percent or more of the recommended daily value for that nutrient per reference serving. “Good source of” is a little lower than “high.” A food with this label should have 10 to 19 percent of the recommended daily value. Below “good source” is “more,” “fortified,” “enriched,” “added,” “extra,” or “plus.” A food with 10 percent of the recommended daily value can use one of these, but it only applies for vitamins, minerals, protein, fiber, and potassium. “Lean” applies to seafoods or meats that have less than combined specified levels of fat, saturated fat, and cholesterol (10g, 4.5g, and 95mg, respectively). To qualify as “healthy,” a product must meet the “low” standard for fat and saturated fat, another standard for sodium and cholesterol, and it must have at least 10 percent of the recommended daily value for a range of nutrients. After years soliciting suggestions and considering comments on the question of what “natural” should mean, no useful consensus could be reached, and the FDA decided to forgo establishing an official definition. Though it hasn’t issued rules for the use of “natural,” it endorses the general understanding that it implies nothing artificial or synthetic has been added that would not normally be expected to be added.